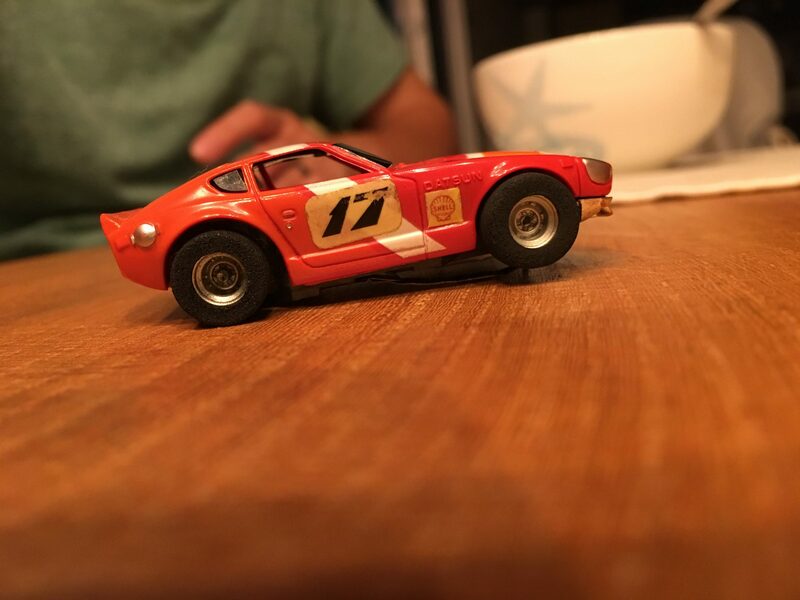 280z still didn’t pass. But got some useful data. 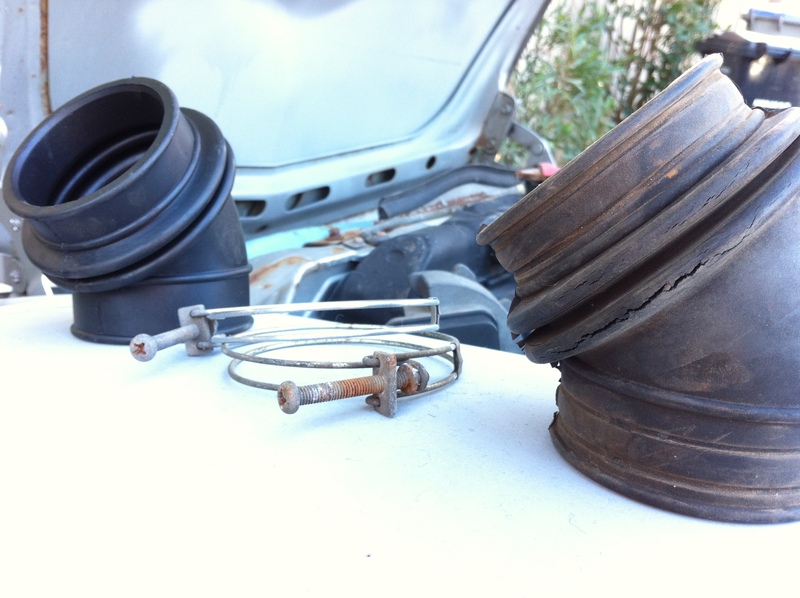 1st Try: Catalytic converter was supposedly original, but no numbers when inspected. Bosch Platinum Plus spark plugs had heavy carbon buildup. Ran 91 octane gas. 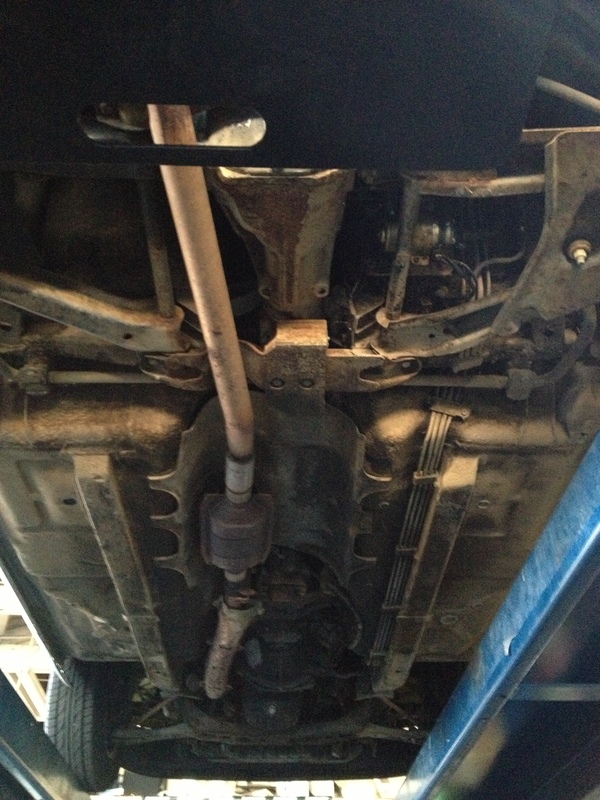 2nd Try: New Magnaflow catalytic converter, NGK spark plugs and 87 octane gas. 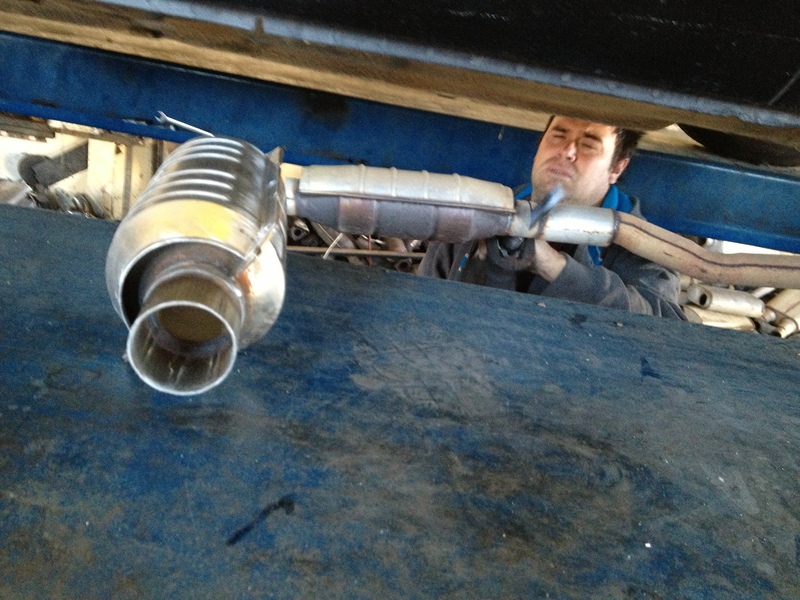 Thankfully Nguyen from Smog Tech did a quick CO% test just to see where we’re at. It ran steadily at 1.73% CO, just 0.37% more than MAX. 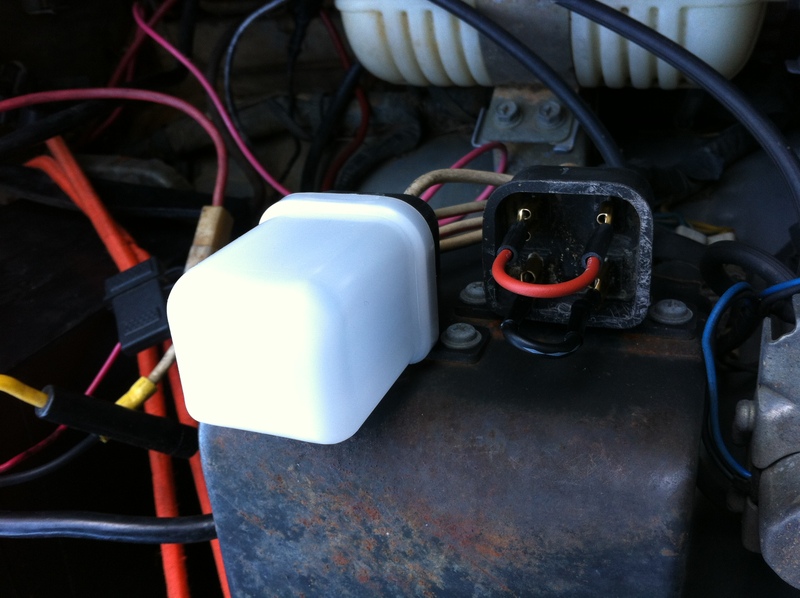 Okay, time to adjust the 280z’s AFM (Air Flow Meter) to run a bit more lean air/fuel mixture. 3rd times a charm, right?… right? New cat, ready to pounce (smog)! Roar! yeah, you know it. Barreled into San Jose Mufflers (i like local) just off 24th street ready to meet Acardio. 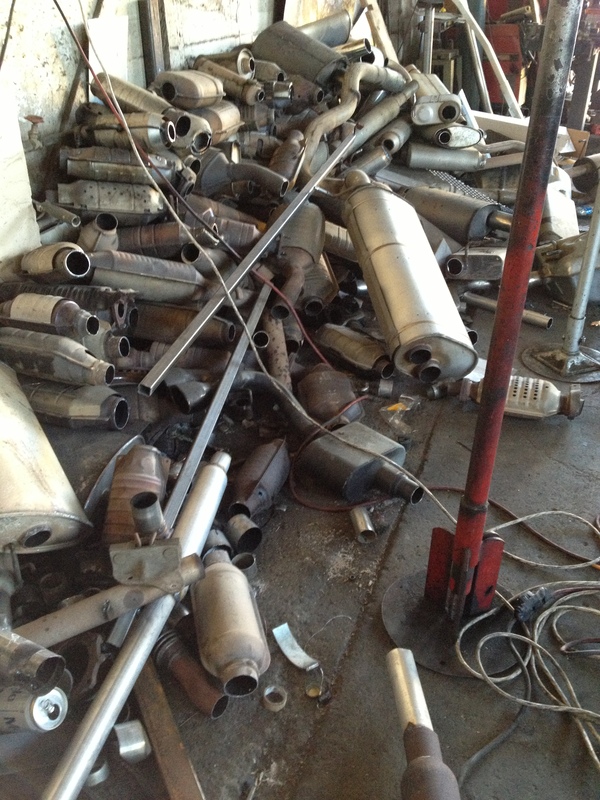 I talked to Acardio a few days back looking for a catalytic converter to replace the non-CA legal one I have on now (read the beginning of the smog story). 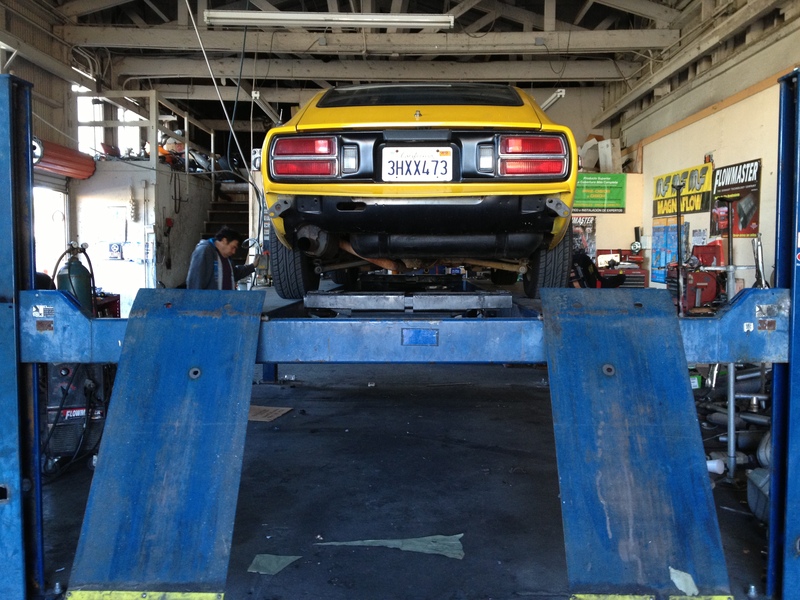 Hopefully with a fresh cat, we can tear up that smog test like cheese-less mouse it is (California, i love your shores, but not your government). Over the phone, Acardio said he’d have it done in an hour and i could wait. 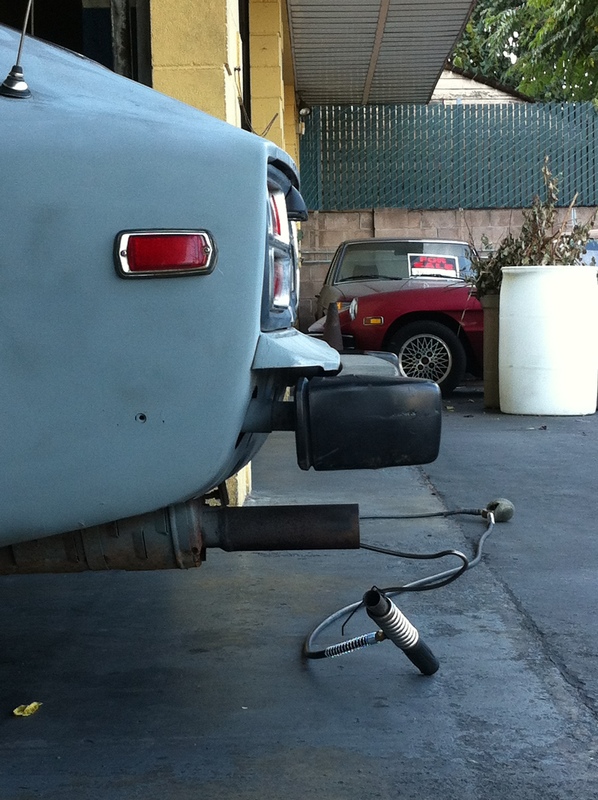 He had that old street cat cut, dumped, and the new Magnaflow lion welded in like 10mins.. no really, more like 8. He was so fast, I only got two pics shot before he said ‘take it ah waaaay’. Damn.. do you mind, um, could you just stand and pretend while i take some pictures for my blog? Took him longer to lift the thing than cut / weld a new cat on. Let’s go get that smog test. 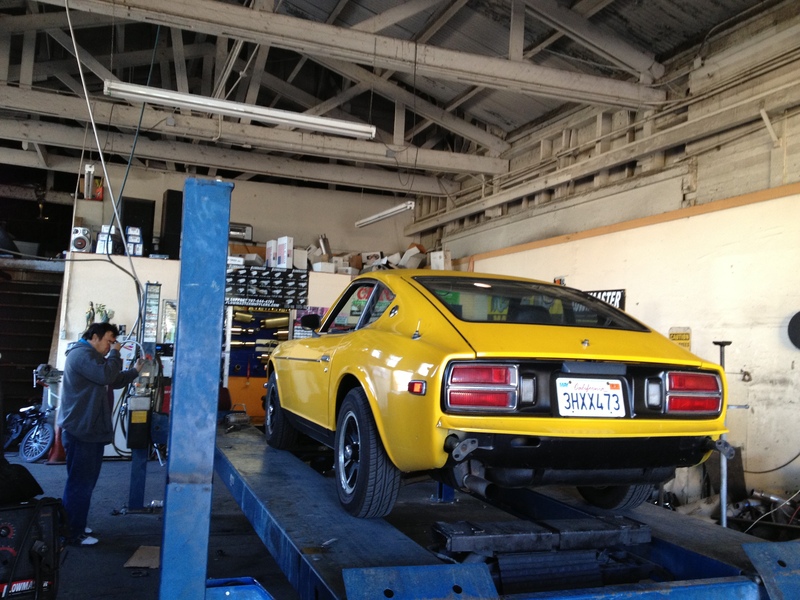 What ARE the best spark plugs for the Datsun 280z? ClassicZCars forum, Haynes service manual, and many others swear by only one: NGK’s copper core spark plug. During this smog-crisis I’m having, I did a switch up to help pass smog (more on that later), and after a bit of research, sometimes the plain, simple and cheap solutions work best. This is certainly the case. 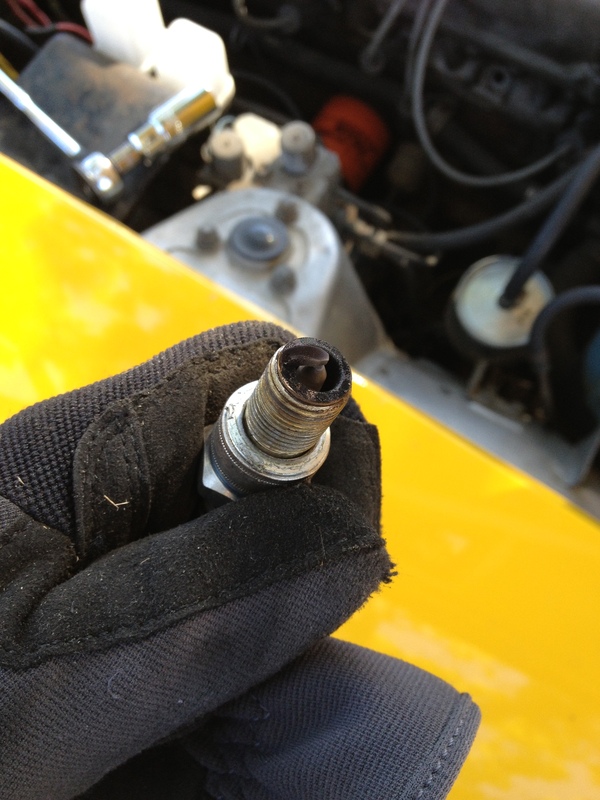 The best spark plugs I’ve experienced for a 280z are the NGK 7734 (BR5ES) or the NGK 7634 (BR5ES-11). But why? Why not platinum? iridium? Hell, if kryptonian-nuclear-nitrous-laced-ium spark plug was real and can wallup Superman, I’d think it would have been the best for that straight L6 engine, right? Nope. Save the precious metals for wedding rings. Platinum et al. may fire hotter, but you’ll notice right away that the contact point is much much smaller. Our 70’s era engines aren’t perfect, so there’s certainly going to be carbon build up over time – so less surface area, easier for carbon to build up and over. 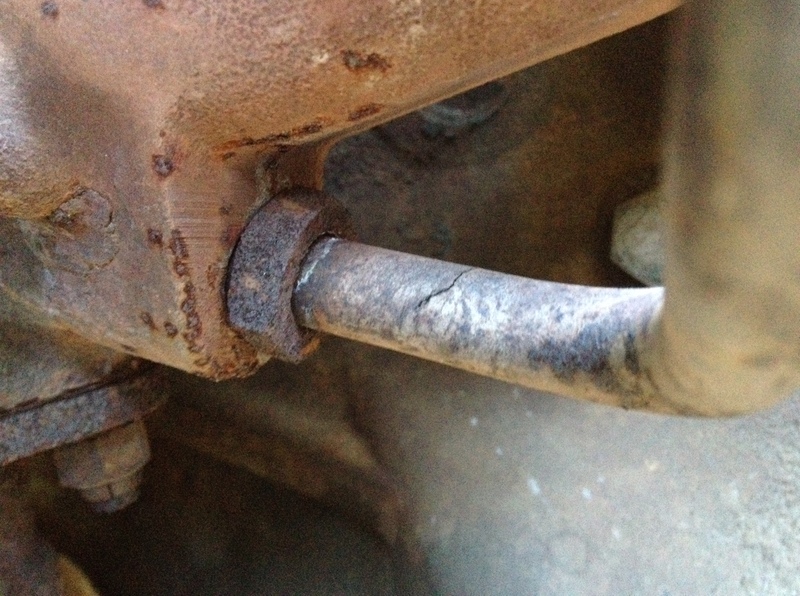 The Nissan / Datsun factory service manual says the spark gap should be between .039″ – .043″ (.028″ – .031″ for Canada). So though they’re somewhat pre-gapped at the factory, you should still buy a gap gauge to measure and adjust, checking for variability. Ooo not good. So I replaced each one, and let her rip. Woohoo! More power, instantly. From the moment I pressed the throttle (and i’m usually kind of a turtle), I notice the difference right away! I’ll definitely be monitoring the spark plugs more closely, and be adding it to a biennial or yearly maintenance routine since the NGK 7734 (BR5ES) or NGK 7634 (BR5ES-11) are cheap enough. Heard that before? We’ll let’s take this journey of the Smog Saga story together. 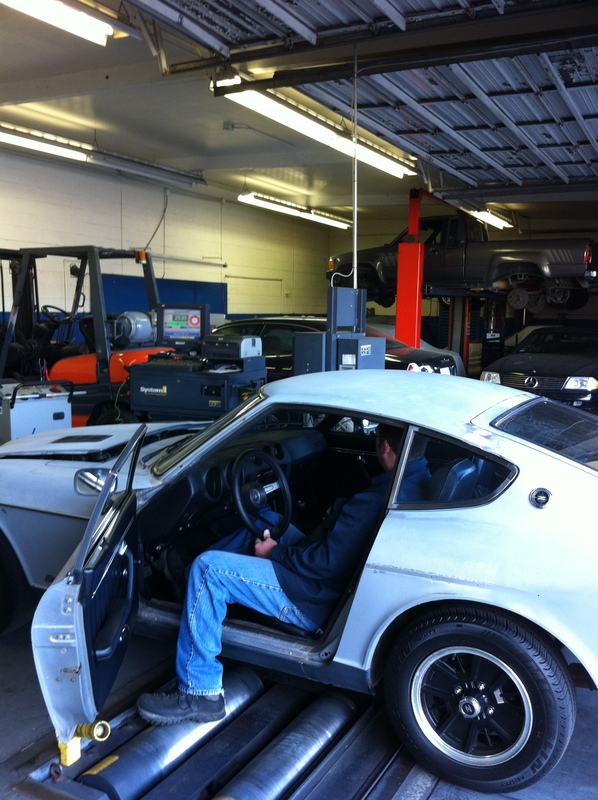 Last post was about having to get the Datsun 280z smogged because it’s a 1977 (and in CA, cars 1975 and prior are smog exempt!). 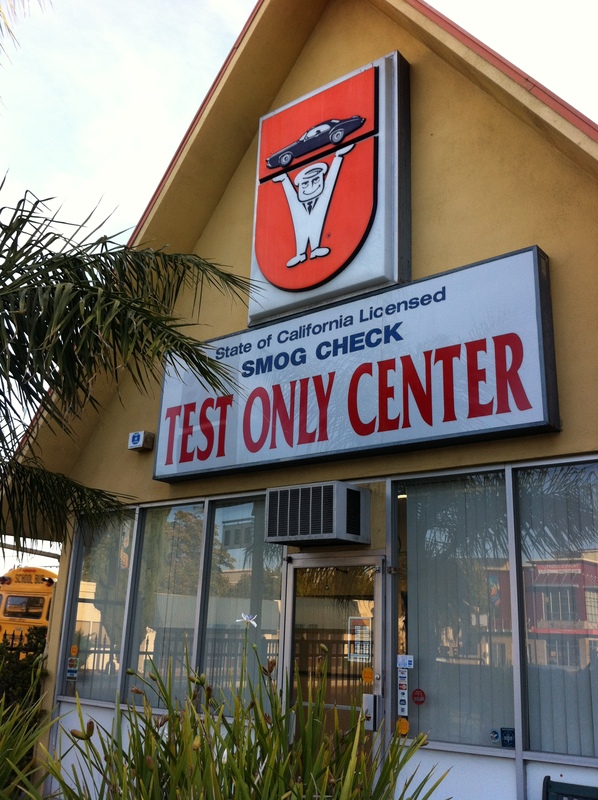 Lo and behold the San Jose’s Smog Tech Test Only station was finally open. I was hoping Zac, the last technician who helped me out, would’ve been there, but I guess he’s gone. So, Nguyen (first name) help me out and put the Z on the machine. Vvrrroom… vrroom.. [small chat].. i’m nervously looking at the digital gauge nearly falling out of the green passing zone. He pokes / prods.. gets under the car. “You don’t have a legal cat”, he says. Doh. Seriously. So i guess i know what a bagel and oj got me last time. So as you can see, I’m just out of the range of passing 😦 Some google searching shows this is related to a few things, but probably due to running too rich (too much fuel in the mix). After a post on ClassicZCars.com forums, rcb280z pm’d me and we had a good chat about bringing those CO% levels down. 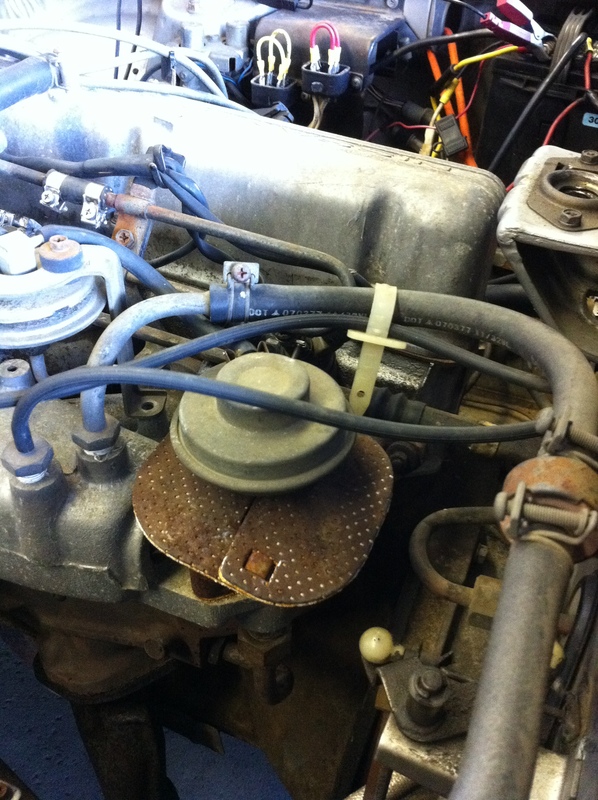 His suggestion was to also check out the spark plugs for excess carbon (ah!). He swears by NGK, and lo-and-behold, most Z drivers do! 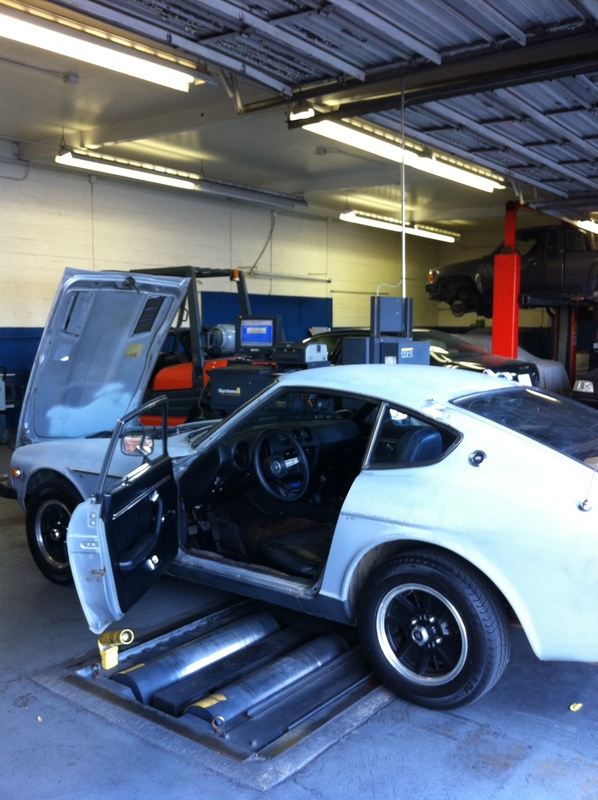 Time to get that 280z catalytic converter changed, new spark plugs, 87 gas, and head over to Smog Tech! 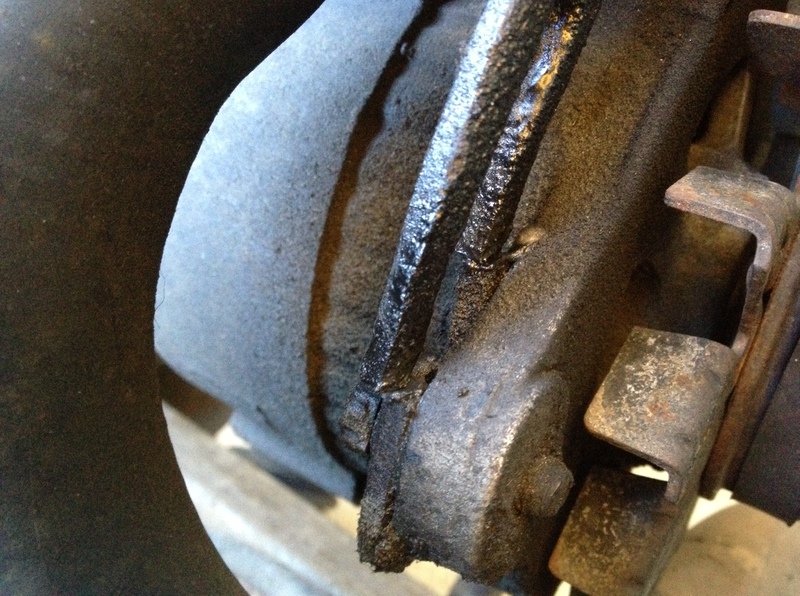 ~$25 – $60 part, and it should pass, ready for the street. Blog update – you’ll notice i’ve put part no.’s after the adds. I saw on a forum people asking for such, so hopefully this’ll make it easier for people (and myself) for ordering things. Smog Tech. Love that logo.